where they have recorded 13 Lizzy tracks. Yellow Pearl is a Norwegian band created in 1995 by Odd-Inge Løwe Rygh and Terje Weum. 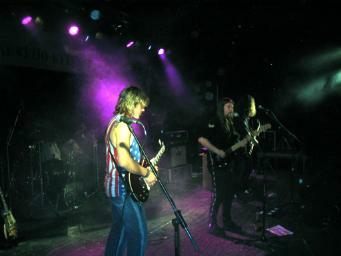 The band was formed to play only Thin Lizzy songs, and the goal was to be the best Thin Lizzy Tribute Band in Norway. Since childhood these two were fans of Philip Lynott and Thin Lizzy. Going on stage playing Thin Lizzy songs is a dream come true. 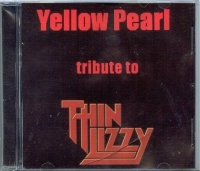 Yellow Pearl recorded "Yellow Pearl plays Thin Lizzy" in 2000. The album included Jailbreak, Cowboy Song, The Boys Are Back In Town, Still In Love With You, Are You Ready, Hollywood, Don't Believe A Word, It's Only Money and Rocky. In February 2001 Record Heaven in Sweden released the official album "The Spirit Of The Black Rose – A Tribute To Philip Lynott ". This is a double album with Robin George, Randy Bachman, Ken Hensley, Philomena Lynott and many more. Yellow Pearl is proud to be a part of this album with the track "Rocky". This album helped the Roisin Dubh Trust Fund to raise money for the statue of Philip Lynott in Dublin. In 2004 and 2005 Yellow Pearl brought the music of Philip Lynott abroad to Lithuania. The Birzai Festival experienced Irish Rock for the first time and it was a success! Approx. 6000 – 7000 people were there. 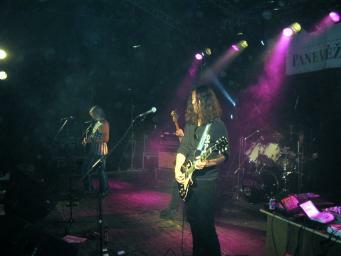 In addition to outdoor festivals in Norway and Lithuania, Yellow Pearl also plays in pubs and rock bars across Norway. The band uses Marshall amplifiers, Gibson Les Paul guitars and Fender Precision bass guitar. While I have made every effort to ensure the accuracy of this information, it is provided "as is" for your information only. Goto my HomePage or my main THIN LIZZY page.